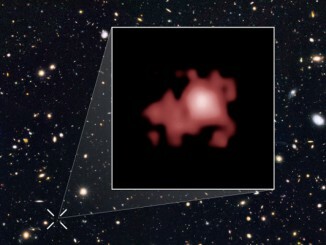 By pushing the NASA/ESA Hubble Space Telescope to its limits, astronomers have shattered the cosmic distance record by measuring the distance to the most remote galaxy ever seen in the universe. 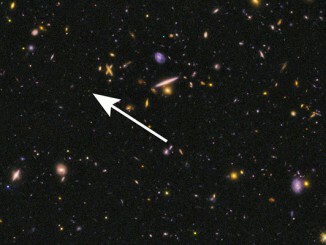 The galaxy, named GN-z11, has a redshift of 11.1, which corresponds to 400 million years after the Big Bang when the universe was only three percent of its current age. An international team of astronomers has pushed back the cosmic frontier of galaxy exploration to a time when the universe was only 5 percent of its present age with the discovery of an exceptionally luminous galaxy more than 13 billion light-years from Earth. 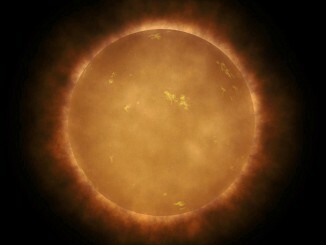 The galaxy existed so long ago, it appears to be only 100 million years old.